We are proud to have you serving as a real estate representative in our area. If you or your clients have any questions about the school district, please do not hesitate to call us at 817-299-6345 or email us at info@misdmail.org. Provides student performance and accountability data to teachers, administrators, and the community in a way that supports informed decision making. In a fast-growth District, zones are often changing and/or under consideration. Stay up to date on attendance zone developments here. Helps locate specific bus routes simply by entering a street address within the Mansfield ISD. 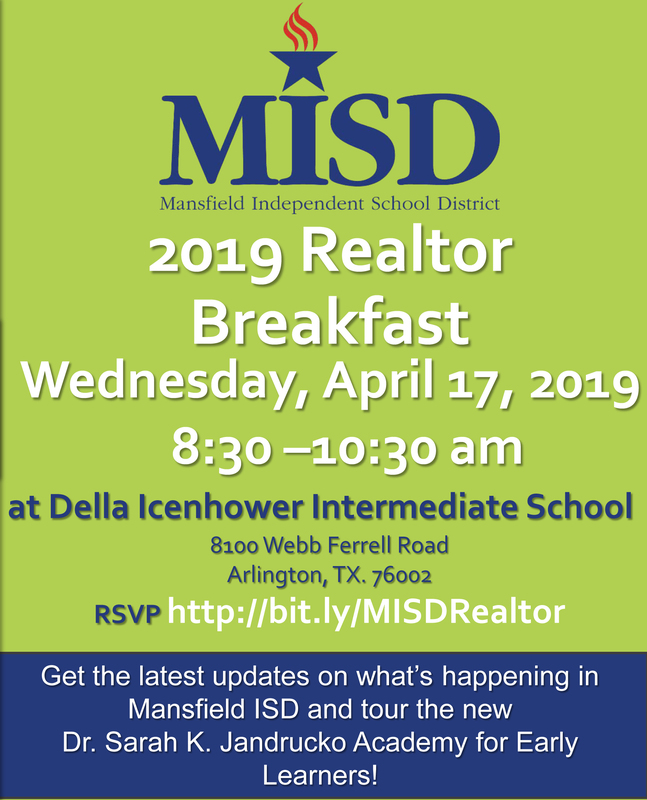 Get information and renderings of new schools, and construction schedules to keep you up to date on the current MISD projects. Provides all things related to Business services, budget, as well as the District's tax rate notification. Mansfield ISD free e-newsletter with District and campus news and updates. Includes: Bell schedules, grading periods, graduation requirements and much more. The official blog for the District.